We can sum this up in one word: easy. Co-parenting is not easy. 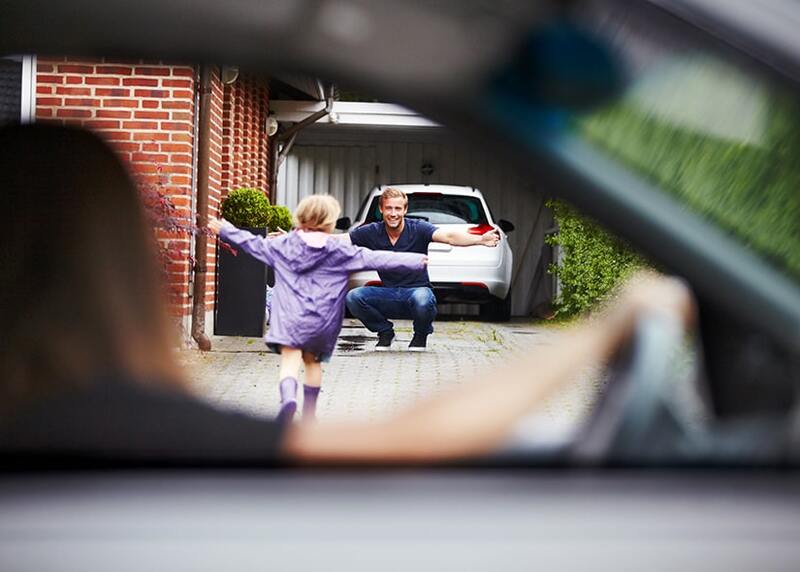 Parenting is already no cakewalk, and when you add in the stress of a raising a child together after a divorce or separation, it’s a situation ripe for tension and disagreements. Co-parenting is not about you. Nor is it about the other parent. Nor is it about why the relationship didn’t work out or whose fault it was. Co-parenting is about two people coming together to provide the warmth and attention for their children that are the hallmarks of good parenting. Agree with your ex that disparaging one another in front of the kids or allowing the kids to speak disrespectfully about either parent is strictly forbidden. Never, ever force your children to choose sides when there is a disagreement. Co-parenting is not erratic. Work with your ex on a detailed plan for raising your kids that focuses on consistent rules, bedtimes, curfews, screen time, disciplinary practices, and expectations for performance at school, work and in extracurricular activities. The more consistent the routine between homes the better. Research-backed ways to improve parenting include things such as praising our children, understanding the stages of development they are going through, spending time with them and being able to let the little things go. Co-parenting is not a competition. This is not your time to shine as the fun parent, nor as the best friend. It can be easy for guilt to get the better of you — and for your children to play on your emotions — causing you to overindulge their material wants or allow them to wiggle out of responsibilities like chores or schoolwork. It may feel good in the short term, but in the long run, it isn’t helping you or your children. Co-parenting is not even-steven. What is best for your child may not always equate to a 50-50 split between parents. If one parent travels frequently, it might make more sense for the children to spend more time with the other parent. If your ex has always taken the kids to their sports practices, don’t nix it just because it is your weekend. Talk to your children. Consider their feelings and remember, this is not about you. Co-parenting is not always comfortable. A divorce or separation is a highly emotional and sensitive situation for everyone involved. There are bound to be hurt feelings, feeling of anger or even hostility toward your ex. Work out these feelings with a counselor or other professional, not during your dealings with your ex in matters related to the children. Think of it as a business. You don’t disparage your co-workers or boss, even when you disagree. You can’t do it in this situation either. Adopt a business-like tone in your communication. Make sure you communicate frequently and document all decisions you make together about the children. Share information related to the children. Is there a doctor’s appointment coming up? Is there an important event at school on the horizon? Don’t hoard information thinking it will make you the hero. It won’t. A superhero is identified by his or her superhuman powers, and in this case, it is going to be your power to stay in control of your emotions for the sake of your children and make decisions from a place of empathy, peace, and love. Parents who are separated or divorced or were never together in the first place must communicate with each other regarding their children. Good communication is key to a positive co-parenting environment. Need a Lawyer? Let Talking Parents help you find one.